For a lot of consumers, buying a new vehicle is as simple as deciding which car, truck or SUV they want, figuring out how to fit that vehicle into their budgets, and then visiting their friendly neighborhood Honda dealership to go through the process of actually taking that vehicle home. The whole ordeal should generally be pretty stress-free. For recent college graduates, however, it’s not always as easy as that, mostly because that whole “budget” side of things is a pretty new concept, and there isn’t always a lot of money to work with anyway. Knowing that, and knowing that college grads have a whole host of special considerations when buying a vehicle fresh out of school, Yahoo! 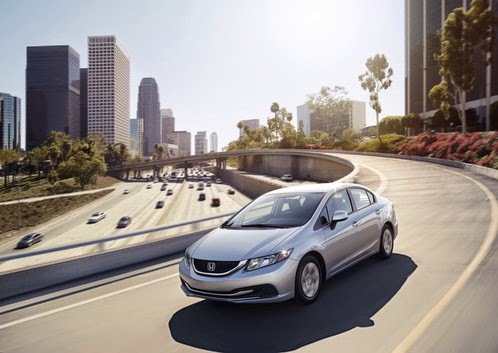 Autos recently put together a list of “The Best Cars for New Graduates,” and we here at Pacific Honda were especially pleased to see that the 2015 Honda Civic was among those models mentioned. It’s no real surprise why that model would appear on such a list, as new vehicles don’t typically offer quite so much for so reasonable a price, but added bonuses like loads of up-to-date tech (even on the base trim), high fuel efficiency numbers and a variety of body and powertrain options make this is a stellar option for any young person looking to make their first new vehicle purchase as an adult. Frankly, it’s a scary, confusing world out there for college grads sometimes, but the car-buying experience, at least here at Pacific Honda, should not be something that contributes to any anxiety about the “real world.” In fact, the Civic should serve as a vehicle to literally drive these young people into the next stage of their lives.